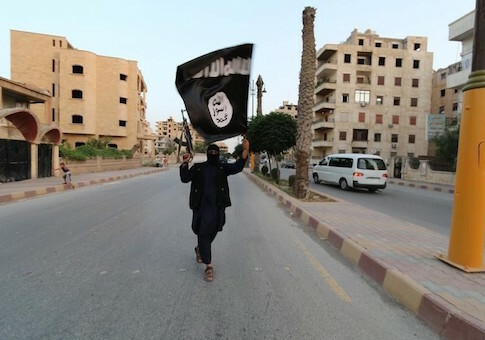 BAGHDAD (Reuters) – Islamic State militants raised their black flag over the local government compound in the Iraqi city of Ramadi on Friday after overruning most of the western provincial capital. The insurgents attacked Ramadi overnight using six suicide car bombs to reach the city center, where the Anbar governorate compound is located, police sources said. Fighting continued on Friday in parts of Ramadi, 100 km (60 miles) west of Baghdad, and government forces were still in control of a military command center in the west of the city. If Ramadi were to fall completely to Islamic State it would be a strategic blow to Prime Minister Haider al-Abadi's government, barely six weeks after the army and Shi'ite militias recaptured the city of Tikrit from Islamic State. The militant group said it had stormed Ramadi's provincial government compound and taken control after "eliminating the apostates" who remained inside. Police said the militants used an armored bulldozer to remove blast walls blocking the road to the police department adjacent to the provincial government building and blew the vehicle up when it reached there. A Humvee packed with explosives targeted the education department and a third car bomb was detonated at the western entrance to the governorate building in central Ramadi. On the western side of the city, three car bombs blew up near the Anbar Operations Command. Hospital sources said in Ramadi said at least 11 people had been killed in the attack. This entry was posted in Uncategorized and tagged Iraq, Islamic State. Bookmark the permalink.